Everything is location. Or, location is everything. All things are spatial. A thought occurred to me as I edit this post. Two acronyms are arising from advances in microprocessors. “The Internet of Things” (IoT) and the “Internet of Everything” (IoE). Location enters into the conversations of even less nuanced consumers because of smartphone tech and the intrinsic location-enabled apps and hardware common to most smartphones. Tweets are geolocated, Facebook posts are geolocated; even dating or pseudo-romance apps, like Tinder or Grinder, are specifically connected to finding others with similar interests nearby. People use free mapping apps, like Google Maps, or Yahoo! Maps for navigating routes for vacations or simply for finding a new place to eat. 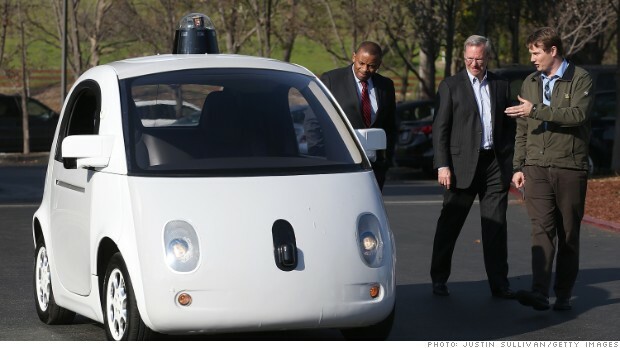 Even as I type this, some tech writers are prognosticating self-driving autos in 2 – 5 years. (ExtremeTech; NBCNews) Chris Urmson, the director of self-driving cars for Google, says he never wants his 11-year old son to take a driving test. Think about this: the children being born today will see self-driving cars on roads in their lifetime and potentially may not have to take a driver’s exam, or, to add a little dose of realism to this conversation, may witness the demise of the driver’s exam within their lifetime. Judging by advances in health care, their lifetime may exceed a century. The Human Race went from horse-drawn carriages to the Moon in about 60 years so a century will seem like a millennium to our progeny. Every generation believes they “live in exceptional times.” The era of the “Greatest Generation,” the generation responsible for initiating and ending two world wars certainly was exceptional. I’m not going to pretend to be a historian but I hypothesize some eras are more exceptional than others. I think we are living in truly such an exceptional era. Not long ago I received in my mail a copy of “Inside Unmanned Systems: Engineering, Policy, and Practice.” Published by Autonomous Media, LLC., the Winter 2015 issue was nothing less than captivating. Obviously covering unmanned systems, both remotely-controlled by humans and those being more autonomous, the issue highlighted three critical interest areas of mine. First, marine research centers was the lead story. One of my supervisors has a history at Woods Hole Oceanographic Institution, a world-renown site of oceanographic research. WHOI operates a number of research vessels, including submarines, and a number of autonomous underwater vehicles. I have an engineering and research interest in underwater UAVs (unmanned aquatic vehicles: my own acronym) due to the proximity of my university to Kentucky Lake and Lake Barkley. Kentucky Lake is a large man-made reservoir constructed by the Tennessee Valley Authority. The largest dam east of the Mississippi River, construction on Kentucky Dam began in 1938 and was completed in 1944 (Source: TVA.) The Tennessee River, the Cumberland River, and the Land Between the Lakes region is home to thousands of native species of plants, mammals, fishes, reptiles and amphibians, and only one species of humans. I think. Sometimes, I wonder. I would like my university to be a little more proactive about developing sensor platforms. We are not a Research-1 university; sometimes I feel like we are in the double-digits. We don’t need to be designing and building our own sensors. However, building platforms from commonly available sensors should certainly be do-able. Yet, I am confronted by General Malaise. Someone needs to encourage that guy to retire. I’ve written before about my frustration with the ambivalent atmosphere which settles upon the place like a fog. Once in a while I run across a peer who is interested in doing something, yet the fog thickens and we can never seem to find enough help to disperse the fog. And then we get lost in our departmental minutiae and then undead pirates materialize from the mist and eat a few of our peers and our work load increases and forget about developing a drone, either airborne, terrestrial, or aquatic. But, so many cool activities and research are going in our era. So many significant advances in STEM, from robotics, Makerspaces, computing languages and scripting, to the Large Hadron Collider and many different deep-space looking telescopes. The Center for Marine Robotics at Woods Hole is one such place doing fantastic research. Another place, the National Oceans and Applications Research Center (NOARC) was recently created at Stennis Space Center in Mississippi. Stennis Space Center is also home to NAVOCEANO, the Naval Oceanographic Office. One task NAVOCEANO has, besides mapping the oceans for the U.S. Navy, is to maintain the network of ocean buoys. One of the newest, coolest analysis devices available to NOARC is C-Worker. The C-Worker is an autonomous water craft used primarily in the marine oil and gas industry for research and environmental assessment. However, the craft is being modified to enhance data collection and reporting capabilities. The Earth is called the Blue Marble by many people due to the abundance of surface water. The vast majority of surface water is not potable water; only about 0.7% of our planet’s water is potable, and the bulk of that ends up supporting agriculture or industry. (The Worlds Water; USGS) Reservoirs are critical elements of our U.S. water supply. The Great Lakes are important source of freshwater, fishing, and transportation. In addition to using aquatic drones in the analysis of oceans and seas, we also need to be developing sensor platforms for our freshwater sources. Coupled with satellite and airborne imagery systems, aquatic drones could advance environmental research of freshwater ecosystems into uncharted territory. The United States, in general, is lagging European companies. The legal system in the United States is part of the problem, rather fear of the legal system. While I personally appreciate some forms of regulation, other forms of regulation come in the form of solutions awaiting a problem, or applying regulations created in the 1960s to new 21st century issues. Most of the more sophisticated drones available today are those designed, engineered, and built in Europe. Companies in Belgium, France, and Germany already have high quality mapping and photogrammetric survey drones available. One of our university program directors directed me to a company in France, Spyboat Technologies. Spyboat Technologies (website) has a public relations nightmare for a name. Setting aside that fact for a moment they have a good idea. Autonomous, GPS-enabled and sensor equipped airboats designed for measuring and monitoring the environment. Spyboat has a video on Vimeo showcasing their airboats. While I commend them for their idea, their boats are too small. They appear to be too easy to capsize, not stable, and not powerful enough for work on either our local reservoir or any of the Great Lakes. I’m not sure they would work well for the Ohio, Missouri, or Mississippi Rivers. SPYBOAT SWAN in action with a single beam sonar 200 kHz with a built-in GPS system from SPYBOAT Technologies on Vimeo. Aquatic drones haven’t appeared on the radar of the generic consumer, yet. May not ever, actually. I can see where boats may eventually come equipped with self-driving capabilities. When coupled to sensor systems to detect other vessels and GPS for navigation, self-driving boats may not be far into the future, either. Aquatic drones I can see only being suitable for natural resource management, monitoring, and research.